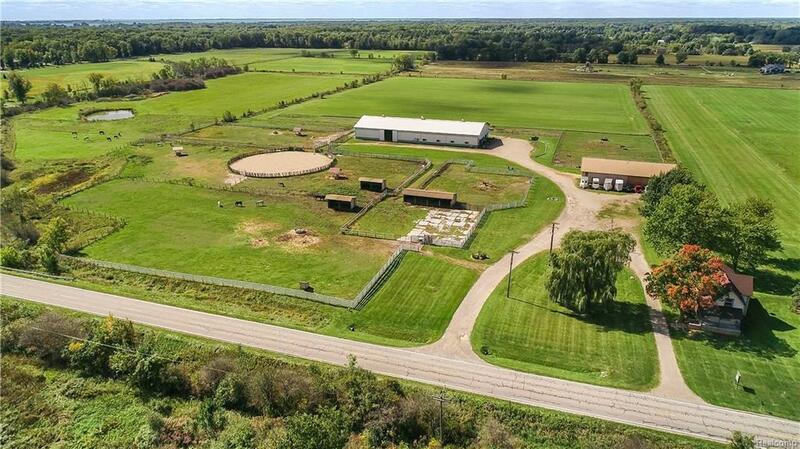 ***Click virtual tour link to watch video*** Located in Marine City, this vast property boasts 43.2 acres of horse luxury. With not one, but two Morton Buildings, this property is a rare and unique find. Whether you are returning your equipment to the 54'x90' Morton Pole Barn, or your horses are resting comfortably in the 24 stall, 180'x72' Morton Horse Barn, both structures are beautiful inside and out, creating an atmosphere that goes far beyond equestrian expectations. Other features include an indoor arena, an outdoor arena, 10 acres of pasture, extensive fencing and 3 additional Morton Run-in sheds. Venturing into the main house, the living quarters include a 4 bedroom, 2.1 bath home that sits as the cornerstone to all the acreage. With updated touches to the bathrooms and hardwood floor accents, this property is sure to check all of your boxes. Simply too many features to list on the MLS. Property brochure available upon request!